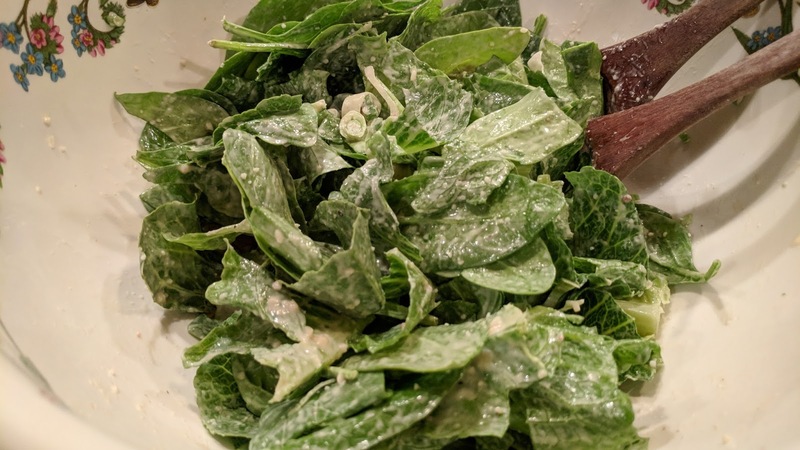 I will admit, I turned up my nose on this recipe when I first found it on the internet, knowing that "real" caesar dressing does not include mayo. Except, this is SO delicious, and easy... and won't freak anyone out with a raw egg in it like the traditional classic caesar. It tastes so much like the Girard's bottled caesar you buy at Costco, or grocery store. I'd say try it, what have you got to lose? In full disclosure, I used the entire 2 oz can of anchovies in my second try of this recipe, but we are major anchovy fans, so I would suggest you try it with less first. My hubby is so in love with this dressing, he's been asking me to make it again and again! We even slathered it on salmon fillets one night and baked it, and it was yum! Yes, I did use bottled lemon juice, don't judge... it was all I had, which is exactly why I have it in the fridge, for just such an emergency. 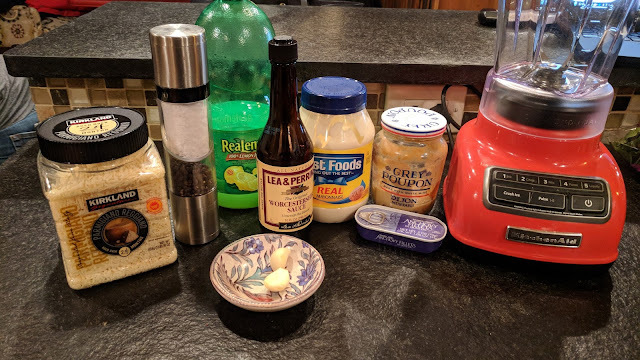 I threw all ingredients into a blender and blended until smooth. It is that easy. If the dressing is too thick, you can add a bit of water, as needed. I'd do that as you used it, and not do it all at once though. I normally put the dressing in the bottom of an empty bowl, add a bit of water, throw in the lettuce and toss. Add croutons if desired. I didn't add anything to the salad except a mixture of romaine and spinach, and then tossed it in the caesar dressing. Delicious! 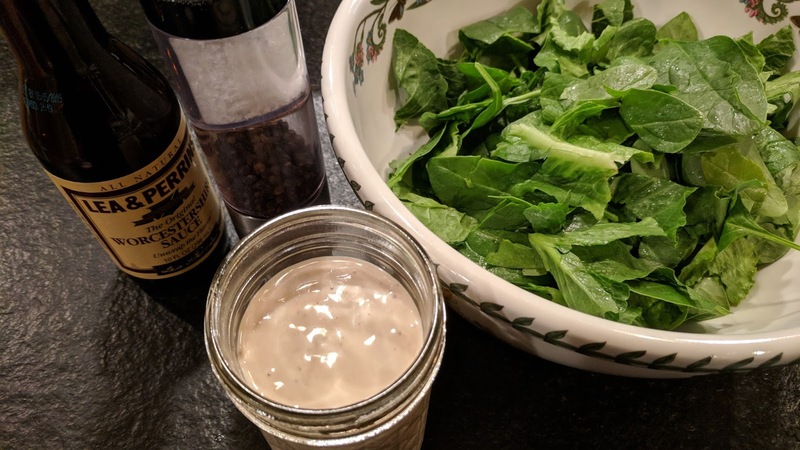 I rarely buy salad dressing, it is so much easier, cheaper and more delicious to make yourself. Best Mai Tai on Kauai?